Maple Bluff is one of Madison’s premier locations to live. Waterfront properties, classic bungalows and sweet cute colonials are just a few varieties of homes situated in Maple Bluff, one of Madison’s oldest and most well respected small villages within Madison city limits. Situated on the eastern shore of the 3,274 acre Lake Mendota, Maple Bluff offers exciting outdoor activities and beautiful sunset views over the lake. Kayak, boating, fishing & swimming are just a few of the exciting activities Lake Mendota has to offer. 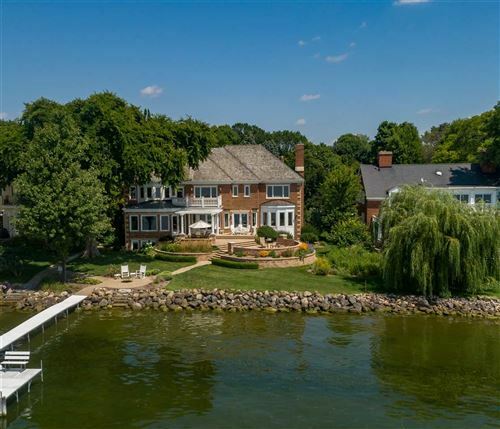 With its beautiful marina, top notch country club with a world class golf course & outstanding facilities, this community is a gem on the eastside of Madison. Make sure to stop and Bear and Bottle to enjoy lunch or dinner on the awesome patio! With Warner Park just to the north and Tenney Park to the south there are many options for outdoor activities. Maple Bluff also has a rich Native American history with several Indian Effigy mounds in the area. See all Maple Bluff Homes For Sale.